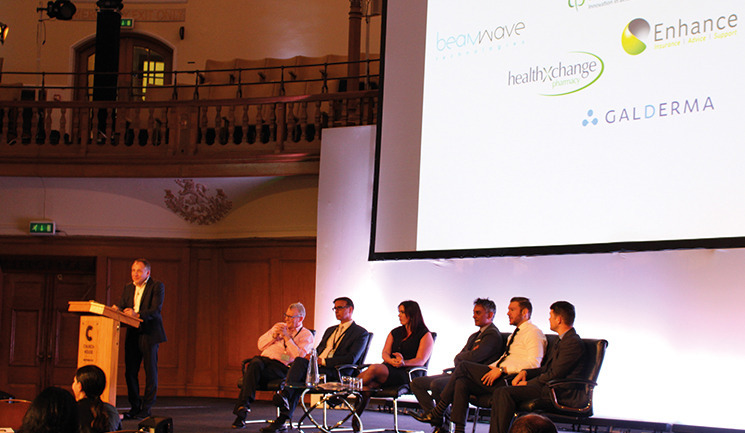 The event took place on September 21 and was held at Church House Conference Centre in Westminster, London, where 120 delegates attended to learn the latest information and advice on complication management. Then, aesthetic practitioner Dr Philippe Hamida-Pisal presented a talk on prevention and management of complications in mesotherapy. Following this, physician Professor Syed Haq performed a live demonstration of a full-face polydioxanone (PDO) thread lift. This was later followed by aesthetic practitioner Dr Nestor Demosthenous, who showcased a full-face thread lift with poly-L-lactic acid (PLLA) threads which provided an alternative option to the previous variant of threads shown. Partner at law firm Hill Dickinson Emma Galland talked on mitigating the cost of a complication and best practice before and after a treatment, in which the key message was to ‘document everything.’ Ending a busy morning was dental surgeon Mr Andrew Greenwood who performed a live demonstration on using hyaluronidase for dermal filler complications. Guests were treated to a delicious lunch and given time to walk around the exhibition which housed well-known companies including Medical Aesthetic Group, HA-Derma, Aesthetic Source, Enhance Insurance, plus many more. After this, maxilloplastic surgeon Mr Jeff Downie and aesthetic practitioner Dr Gabriel Siquier Dameto co-hosted a session on understanding the anatomy. Mr Downie demonstrated this with detailed videos of the anatomy and Dr Siquier Dameto put it into practice with live demonstrations using dermal filler to the cheek, chin and lips. Medical device specialists Feza Haque and Salma Husain from the Medicines and Healthcare products Regulatory Agency, then presented on current regulatory considerations of medical devices. This was followed by presentations of successful case studies from consultant dermatologist Dr Sandeep Cliff, aesthetic practitioner Dr Sophie Shotter and Dr Molina. To round up the day, a live panel discussion took place featuring Dr Cliff, Dr Rosengaus Leizgold, Dr Shotter, Dr Siquier, Dr Nestor Demosthenous, Mr Greenwood, Dr Minocha and Dr Molina. Delegates were able to ask questions to the panel, which included regulation, product recommendations and case-by-case advice. Ok then clear it up so that these things are sorted out please and allocated to the right places. Thanks and amen.